In the 2018 race to re-invent AOL instant messenger Signal comes out on top of the competition for end-to-end encryption and a focus on privacy and security. 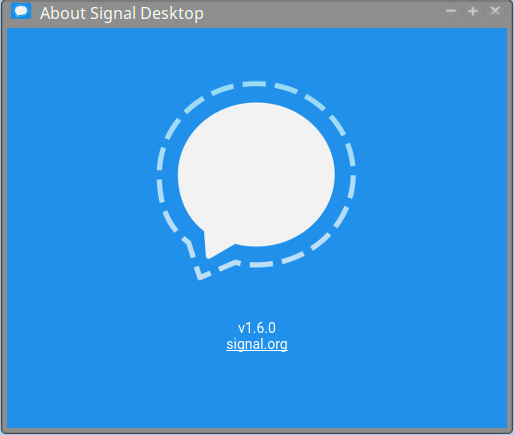 Signal desktop was recently released for Windows, Mac and only Debian-based Linux distributions with no official RPM available. Here’s how to use app sandboxing with Flatpak to get it running nicely. Flatpak is a containerized application framework that uses ostree for updates and management. It is also independent of distribution which comes in useful for applications that might have native Linux applications but no packages available for your distribution yet. Lastly the application is sandboxed from the rest of the system so there’s some utility in just running things that way anyway. First you’ll need to install it for Fedora with the following commands as root. Once the flatpak framework is installed everything else is run as your local user. Obtain the Flathub repository, this is sort of like an RPM repository for flatpak packages. You can find other Flathub flatpak packages here. You’ll see some dependencies being pulled down also. It will prompt you to scan the QR code on your phone Signal app then things should work. Update: Creating the below .desktop file should no longer be necessary with Flatpak, however I’m leaving this in here for posterity (or if for some reason it does not create one for you). We’re going to setup a freedesktop.org .desktop file so it makes a nice pretty icon. Now you should be able to run Signal from your application menu or nest it within plank or an application launcher. Now we have a sweet application icon. You can run the update command by itself to update all the dependencies and and Flatpak applications at once. I quite like Signal and their focus on privacy and security. It’s important to note Google will be discontinuing Google chrome apps in 2018 as they do with most things people find useful for too long. It’s good to start thinking about moving over common applications you might use on the desktop that previously relied on using a chrome app. In this case flatpak makes this easier. Update: Someone has made an unofficial Fedora COPR repository that provides Signal desktop via RPM on Fedora or CentOS/RHEL. Why FlatPak (App Sandboxing) instead of Docker? There’s a good thread on Reddit that explains the differences between Docker vs. Flatpak in more detail than I need to here. For my usage with desktop applications Docker is not the best choice. The main reasons why I believe Docker is not a good choice for this are around standards compatibility, modularity and overall security. Flatpak app sandboxing has the ability to update/manage individual sub-dependencies (e.g. Xorg, libraries, etc) without having to spin up a new container – it’s modular instead of monolithic. Another reason is security, with Flatpak application binaries are sandboxed entirely as your non-root user. Docker has no concept of FreeDesktop.org access control (privilege elevation, PackageKit, ConsoleKit, etc) whereas FlatPak app sandboxing operates strictly under these well-defined and documented guidelines/specifications. It’s more possible (though usually unlikely) something could escape the cgroup confines of a container and become a vector, you really need to trust what you’re running as a container. For containerized Xorg desktop apps you also need to give it an X11 socket. X11/Xorg runs via an suid root wrapper on most distributions and a historically less-than-stellar security track record. Yes, you can reconfigure Xorg/X11 to run without root rights but nobody does this. Lastly FreeDesktop.org standards compliance is important, and Flatpak is built upon this. Flatpak is made for X11 application sandboxing and has a very strict package submission process and requires that it also passes test coverage and standards enforcement. This sort of scrutiny isn’t in place at say, Dockerhub. Docker/LXC/containers certainly have their place in a lot of solutions and really empower services, micro-services and many other use cases but here I think Flatpak application sandboxing instead of a full-blown container is a better solution as it deals with X11/Xorg applications like Signal. This entry was posted in open source, sysadmin and tagged application containers, application sandbox, docker, flatpak, sandbox, security, signal, signal desktop, signal desktop fedora, signal flatpak, signal rpm. Bookmark the permalink. Will this flatpak work with Wayland? What is the trust model with flatpaks in general and this one specifically? 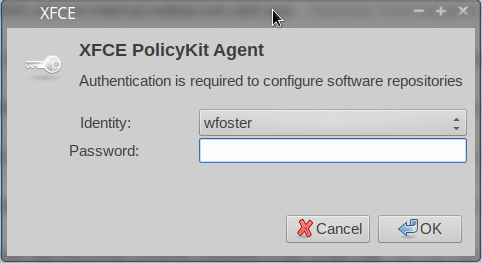 I.e., how do we know this isn’t a MitM, Trojan, etc.? Thanks for updating your post with the COPR RPM availability. Do you have any comments about its trust model? Flatpaks on flathub have a pretty strict submission policy so generally speaking they should be mostly trustworthy, but with anything it’s always best to interrogate the source. Sorry, I don’t know about Wayland but I imagine it should work fine as Flatpak also handles the graphics library required depending on your video card (for my desktop for example it fetches the latest Nvidia libs isolated in their own area). There is no need to manually create a desktop file. Flatpak will do that automatically for you. Its possible you need to log out+in once after the first time you installed flatpak to get the custom .desktop file directory into the XDG_DATA_DIRS env var though. It didn’t used to always do this, hence why it’s in the guide. I noticed that it does this now for most flatpaks however – updated guide to reflect, thanks for the feedback.